August 16, 2015 Madeline McEwen-AskerLeave a Comment on Book Review of Stories from the World of Tomorrow: The Way the Future Was! 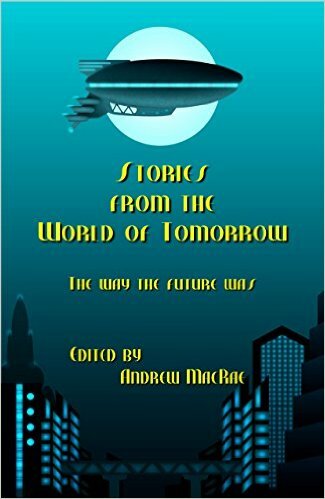 Book Review of Stories from the World of Tomorrow: The Way the Future Was! Here’s a review I started several eons ago before my life was derailed by summer holidays, or vacation, as my American children insist. As before, I want to avoid spoilers, so instead I chose a favorite quote from each, which was tough because there were far too many to choose from. My Kindle looks like a stripy tiger with all those highlighted lines. Exit 5710 by Cassandra L.
Stories from the World of Tomorrow: The Way the Future Was! Darkhouse Books. Kindle Edition available from all good booksellers as well as Amazon. Meanwhile, I’d welcome your recommendations for other recent or pending reads too? Categories Book ReviewTags Book Review of Stories from the World of Tomorrow: The Way the Future Was! Previous Book Review of Destination: Mystery!